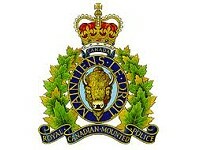 On November 27, 2016, at approximately 6:45 pm, Swan River RCMP were dispatched to a single-vehicle ATV rollover near Provincial Road 157 West in the RM of Swan Valley West, Manitoba. It appears that the local farmer had been checking on livestock and was alone at the time of the incident. The 74-year-old male was pronounced deceased at the scene. Alcohol is not considered a factor in the collision. The victim was not wearing a helmet.